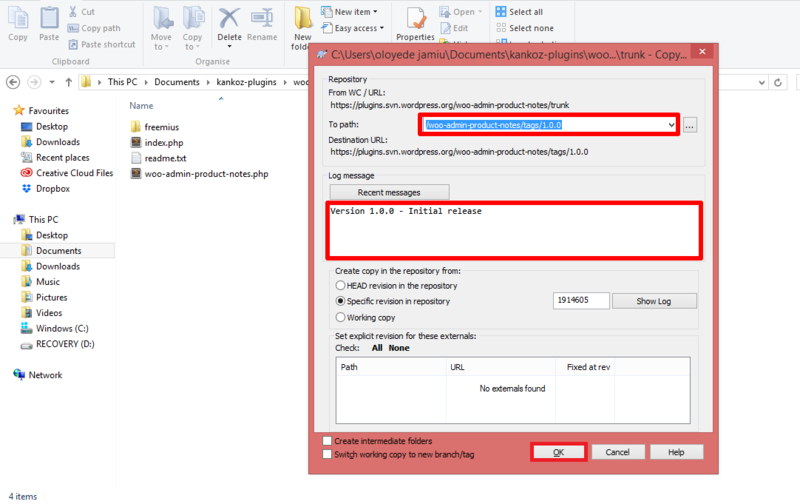 Did you create a wordpress plugin and you are you looking for how to upload wordpress plugin to wordpress repository? Calm down… it’s easy. I would simplify the steps involved with a live example of a plugin I just released to wordpress repository. I assume your plugin has been reviewed y the wordpress team and you’ve gotten your approval to list your plugin in the wordpress repository and hence you should have your access to your SVN repository via the url provided in the approval email. There are couple of steps involved, let me quickly go through them as fast as possible. 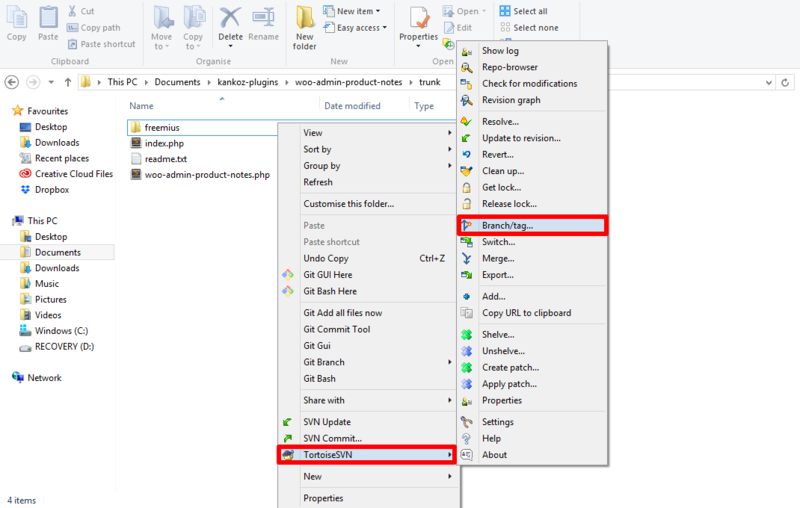 First you need to create a folder that would contain the files of your plugin. Do that anywhere on your computer. 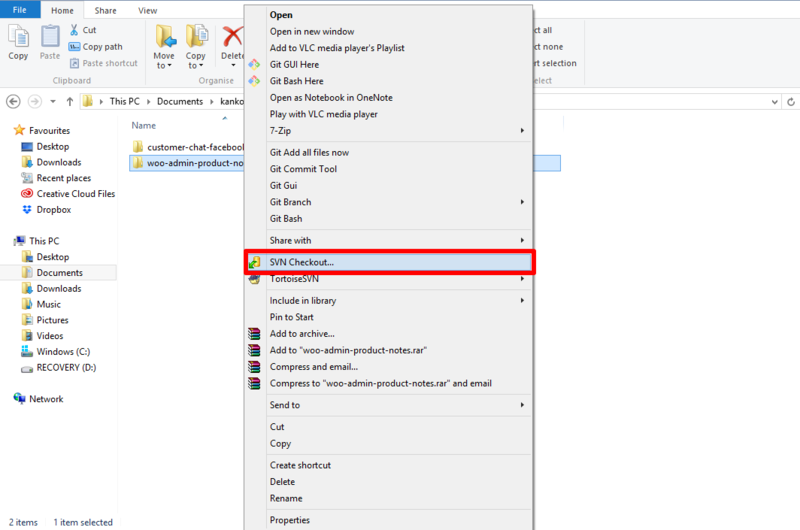 Please name the folder, the same name of your plugin. 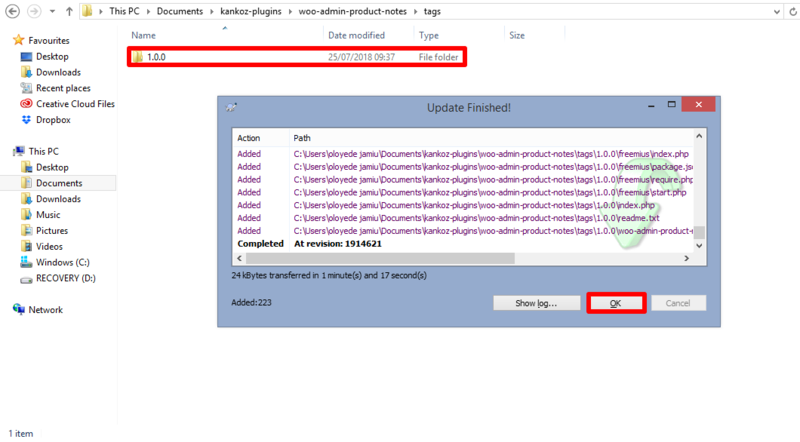 As for this plugin, the name is WOO admin product notes, so I have named my folder as woo-admin-product-notes. 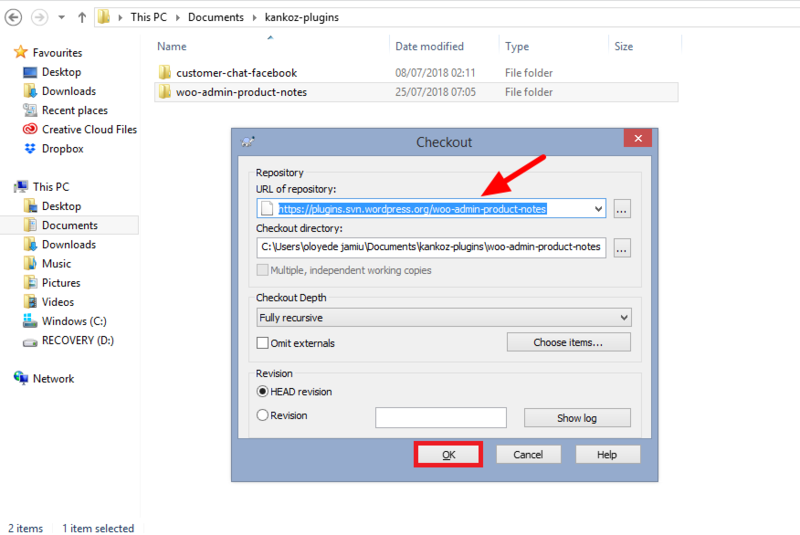 Right click on the folder and select SVN checkout as seen in the picture. 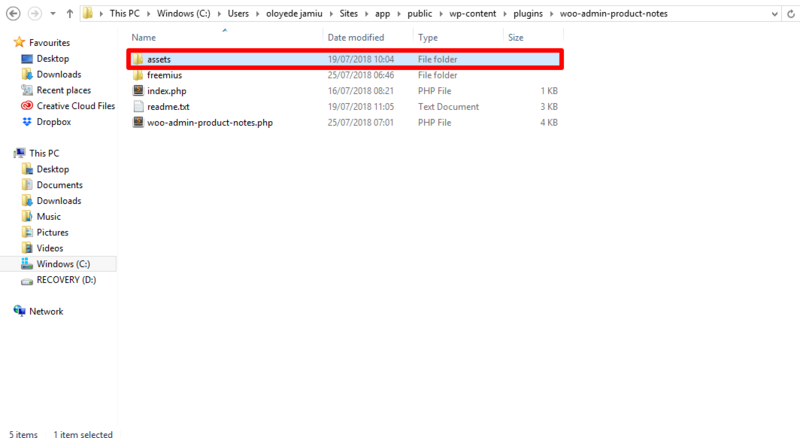 Step 2: Download repository base file to your plugin folder. The next step you need to take is to input the url wordpress sent to you via email in the url of the respository in the image below, and then click OK. 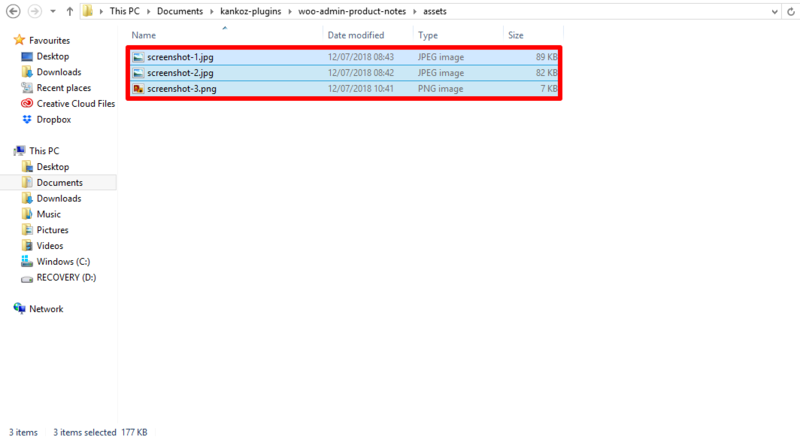 Initially, your plugin folder was empty but by now, you should be able to see four sub-folders within it. The assets is where you have to place your plugin screenshots. Now go over to your local server (where the original plugin is located) and copy all your plugin screenshots and move it over to the asset folder within your local repository. 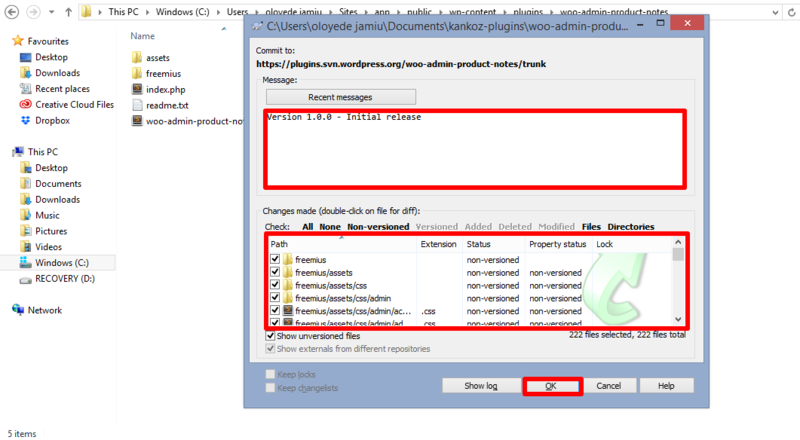 Here, you need to provide your commit message and also tick all the files down below it. 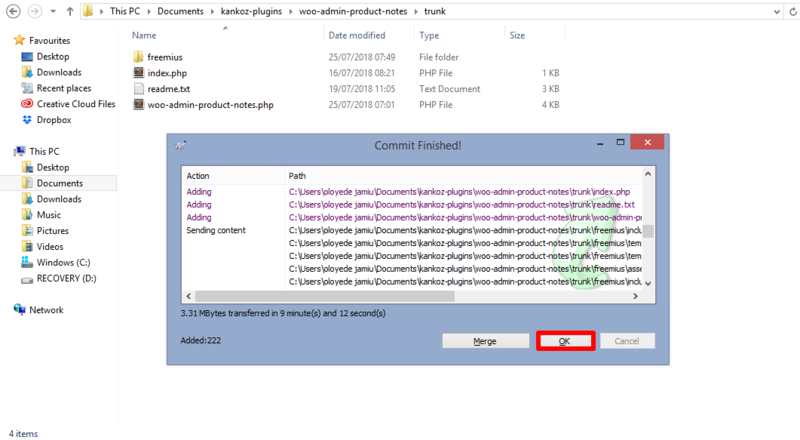 Step 4: The commit process would start and you would be prompted to supply your password if it’s your first time of commiting to wordpress repository. 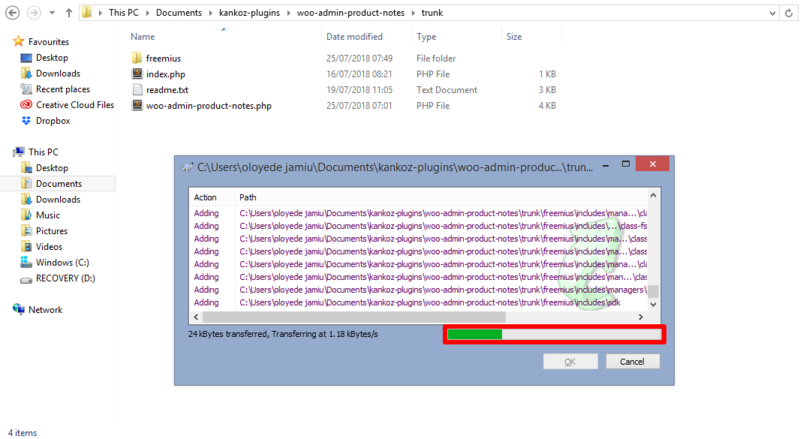 Step 5: Once that is completed, you should have something like what is shown below, then click OK.
At this moment, if you check the plugin page on wordpress repository, you should see the plugin as being live. That’s not the end. You still have one more step to complete the wordpress.org repository upload. Step 6: In this last step, you need to tag this particular release. 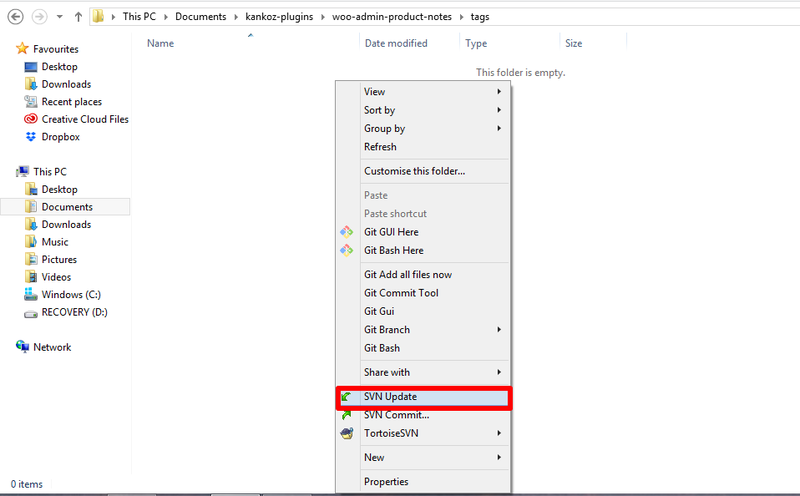 Right click within the trunk folder, select Tortoise SVN and a new set of menu would show up as seen below. 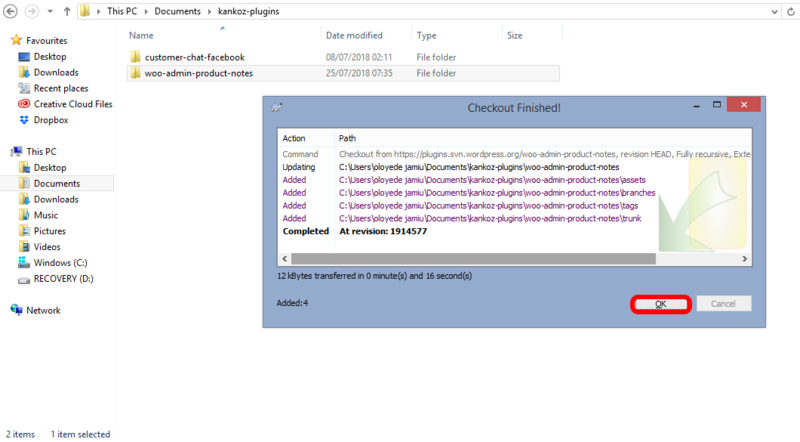 /plugin-name/tags/<version number> e.g /plugin-name/tags/1.0.0 as in my own case. 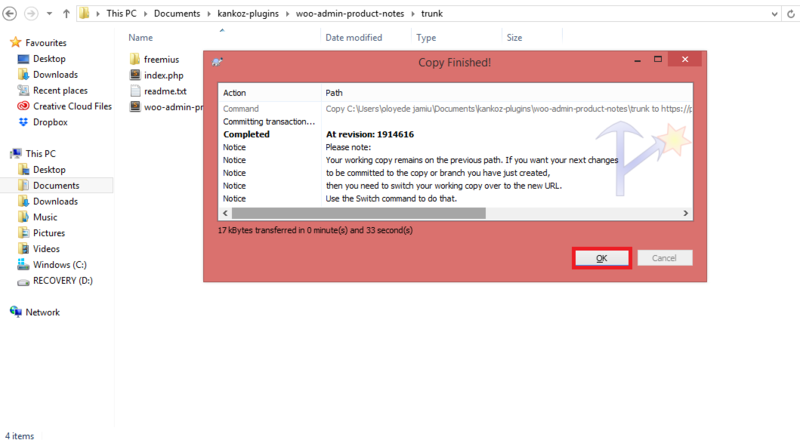 Input your log message and click on the OK button as shown below. Kindly provide your wordpress repository username & password in other to continue the tagging. 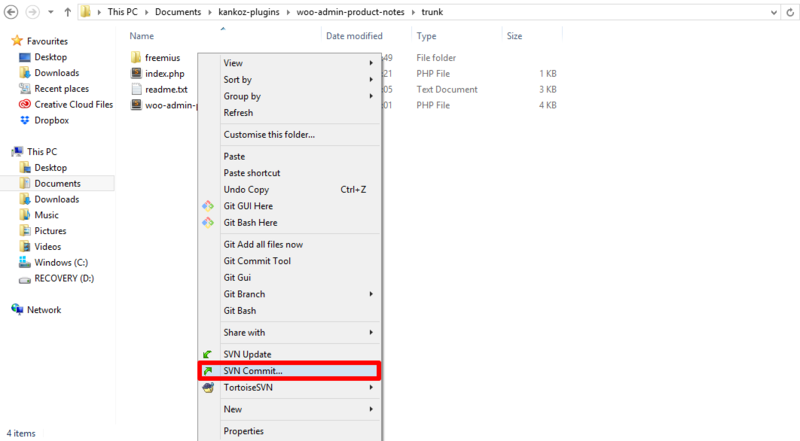 The last thing you need to do is to update your tags folder by right clicking within the same folder and select SVN Update as shown below, then click OK. 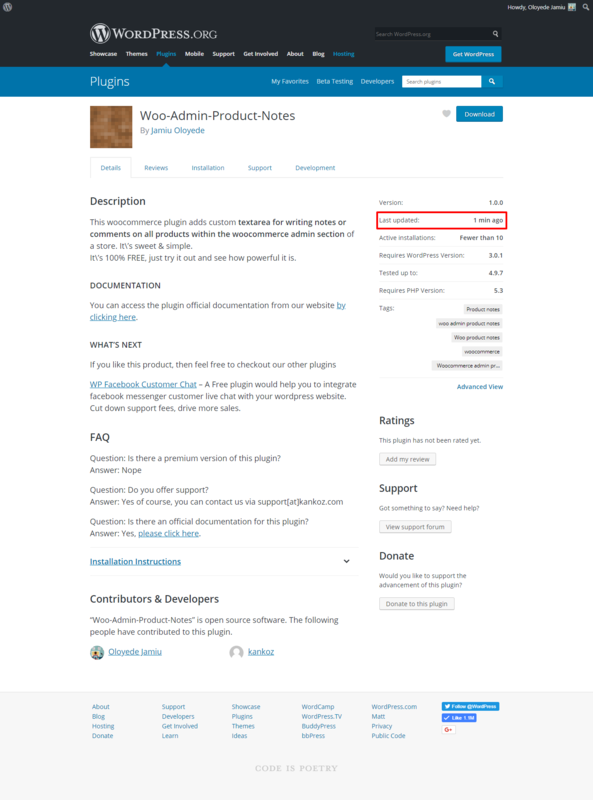 If you’ve followed these exact steps I have shared with you, by now your plugin should have been published in the wordpress repository. If you encounter any problem along the way, do drop your comment below and let see how we can resolve it.